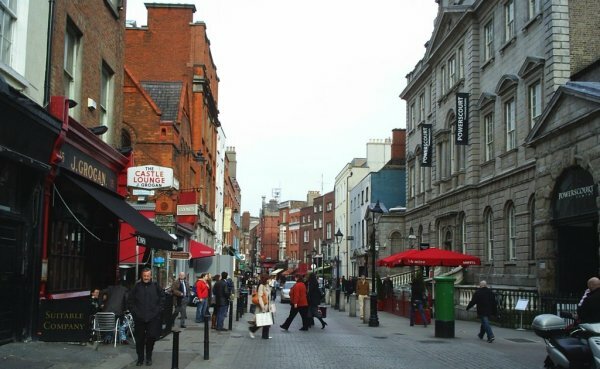 The busy streets around the Powerscourt Townhouse on the right. 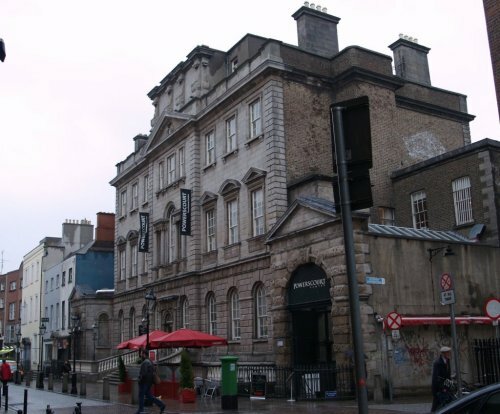 The Powerscourt Townhouse in William Street South. This 1774 mansion was formerly the residence of Viscount Powerscourt and still contains some magnificent plasterwork. 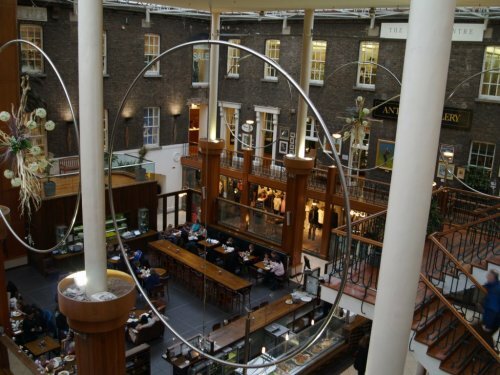 The Powerscourt Townhouse has been converted into a very smart shopping and dining area.